Flirty Fleurs for Valentine's and Every Day! Nothing says “Valentine’s Day” like flowers, and we admit to loving any excuse to bring florals and greenery into our home. 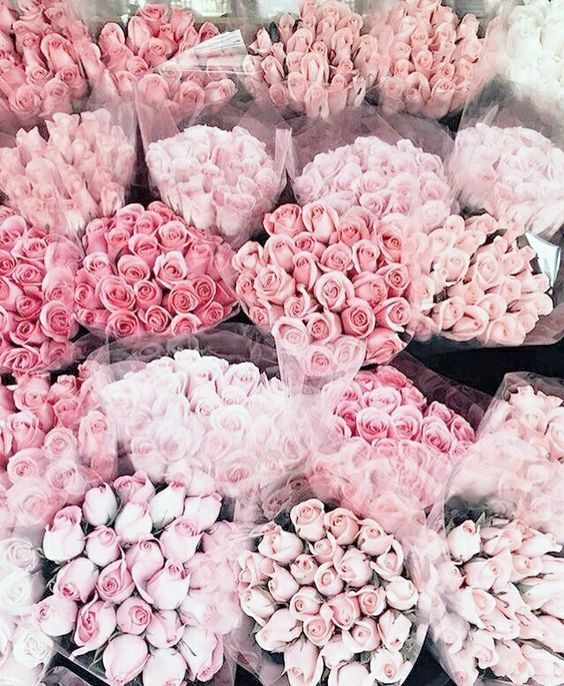 In fact, we don’t think there’s any need to wait for Valentine’s Day to do so: flowers are a welcome, mood-boosting, room-brightening addition to any home any time of the year. 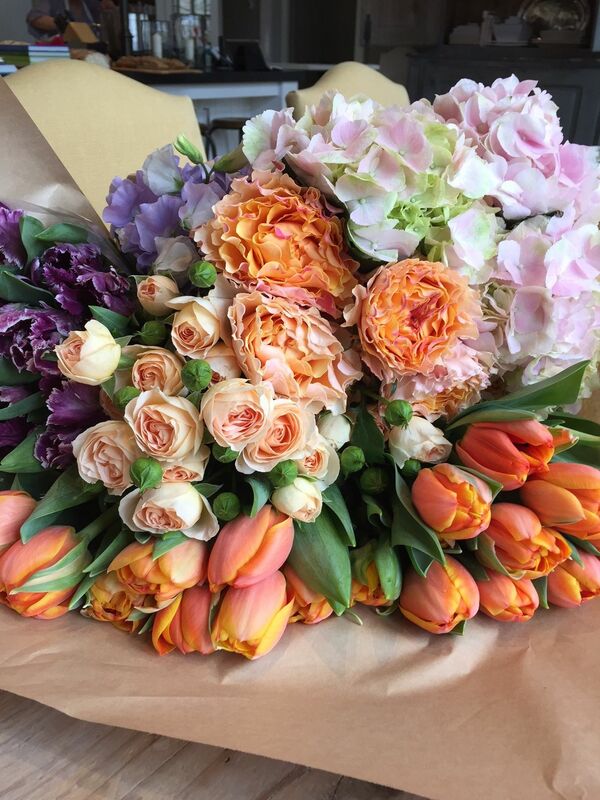 Monet once said, “I must have flowers, always, and always.” We couldn’t agree more! A general rule, you can’t go wrong with orchids for color and ferns for greenery, and we also favor incorporating seasonal blooms. In February, that could mean romantic flowers such as the amaryllis or the star-shaped bouvardia, the almost-sculptural dusty miller, or playful blooms like gerbera daisies and zinnia. If you have the option of selecting flowers and greenery from your own garden, that’s the best choice of all (and a reason to make plans to grow your own cutting garden)! No matter what flower and greenery strikes your fancy, we recommend mixing and matching to create a layered, vibrant, and living array. 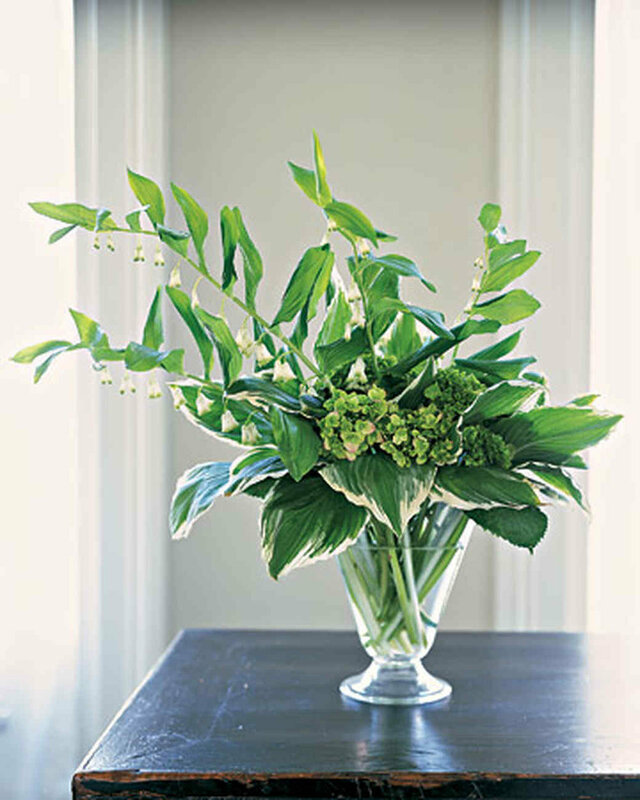 Choose plants that vary the texture of the leaf and petal as well as the scale for an intriguing, unique arrangement. Even if you stay within the same color scheme (greens, for example) you can create a rich, diverse bouquet that brings both contrast and harmony. Fun additions to your arrangement include vegetables such as cabbage. These affordable, ubiquitous, and sturdy “blooms” come in a variety of colors, from white to pale green to deep purple. Paired with whimsical blooms such as hydrangea, cabbages add strength and instantly make the selection appear ready for a still life painting session. Choosing flowers and greens that are low-maintenance is absolutely key, especially for botanical beginners. 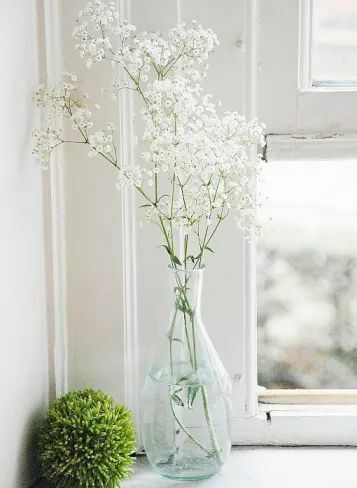 While baby’s breath has earned a reputation among certain florists as a simple bouquet filler, we love using it because it doesn’t die quickly. Its delicate, almost neutral appearance makes it a great complement to more showy blooms. .
Plants such as succulents also make for an appealing, unfussy, long-lasting option. A display of a few fern stems lays on some natural flair and is simultaneously easy to maintain or swap out. After you’ve picked your flowers and greenery, deciding how to display them is half the fun. There’s no need to keep the arrangement formal in a traditional vase either. An empty glass soda bottle with a single flower and a ribbon tied around it is an adorable and approachable way to make your floral budget go far, and it instantly adds sweet style for when guests come to visit or to bring a little life into a bathroom or study. 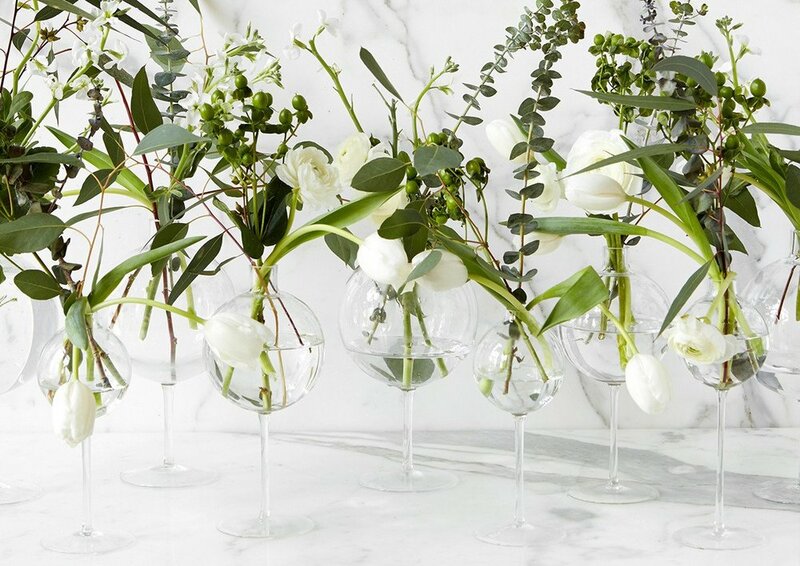 These wine glass vases add instant drama, but you can also use regular wine glasses. Cutting the stems short to keep the blooms tight around the rim of the glass is a sophisticated way to maximize a few choice blossoms. We picked up a tip from a floral class that will come in handy for virtually any vessel: use clear tape and make a grid on top of your vase or container. This set-up keeps blooms and greenery from falling over and allows you to better curate the bouquet. Finally, don’t be afraid to try experimenting with unfamiliar flowers and creating unique arrangements. While you may not have the same techniques as a trained florist, trust your eye: you know your taste better than anyone else. Bringing in blooms that make you happy or remind you of a joyous occasion, whether it be your own wedding or a long ago childhood walk among wildflowers, will instantly brighten your home and your mindset.